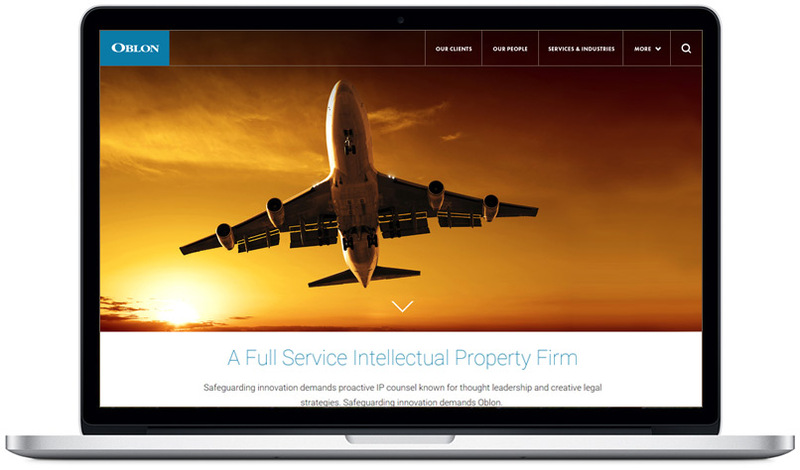 Oblon, one of the largest full-service intellectual property law firms in the United States, made a bold brand statement with the relaunch of its website. Striking Homepage Videographic – The website’s homepage features a striking, full-screen “silent videographic.” This technique is a cutting-edge alternative to traditional still photography. The videographic features a series of action-packed clips that illustrate the breadth of technologies that the firm regularly handles. Great Jakes partnered with Salted Media to develop the video.